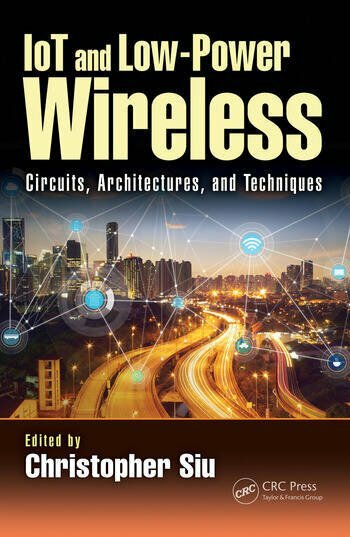 The book offers unique insight into the modern world of wireless communication that included 5G generation, implementation in Internet of Things (IoT), and emerging biomedical applications. To meet different design requirements, gaining perspective on systems is important. Written by international experts in industry and academia, the intended audience is practicing engineers with some electronics background. It presents the latest research and practices in wireless communication, as industry prepares for the next evolution towards a trillion interconnected devices. The text further explains how modern RF wireless systems may handle such a large number of wireless devices. Discusses novel RF systems, CMOS low power circuit implementation, antennae arrays, circuits for medical imaging, and many other emerging technologies in wireless co-space. Written by a mixture of top industrial experts and key academic professors. Christopher Siu is a faculty of Electrical and Computer Engineering at the British Columbia Institute of Technology (BCIT). Prior to joining BCIT, he worked in industry for 15 years in the United States, Canada, and Asia. He specialized in the design of high speed analog integrated circuits, and worked for companies such as PMC-Sierra and Philips Semiconductors. His research interests include analog/radio frequency microelectronics and wireless communication. He holds 3 U.S. patents, and received a Master’s degree in Electrical Engineering from Stanford University in 1994. Krzysztof (Kris) Iniewski (kris.iniewski@gmail.com) is managing R&D development activities at Redlen Technologies Inc., a detector company based in British Columbia, Canada. During his 12 years at Redlen, he managed development of highly integrated CZT detector products in medical imaging and security applications. Prior to Redlen, Kris held various management and academic positions at PMC-Sierra, University of Alberta, SFU, UBC and University of Toronto. He has published over 150 research papers in international journals and conferences. Dr. Iniewski holds 18 international patents granted in USA, Canada, France, Germany, and Japan. He wrote and edited several books for Wiley, Cambridge University Press, Mc-Graw Hill, CRC Press and Springer. He is a frequently invited speaker and has consulted for multiple organizations internationally. He received his Ph.D. degree in electronics (honors) from the Warsaw University of Technology (Warsaw, Poland) in 1988.